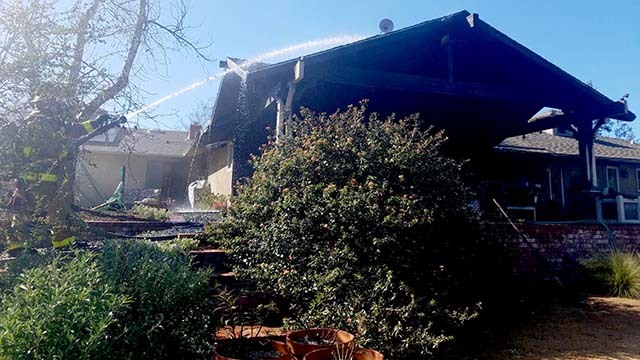 A house fire in a rural North County neighborhood left a family of eight displaced Monday. The non-injury blaze in the 4000 block of Ladera Vista Road in Fallbrook erupted shortly before 1:30 p.m., according to the North County Fire Protection District. Firefighters arrived to find a rear covered patio on the unoccupied home burning, said NCFPD Capt. John Choi. It took them about 40 minutes to extinguish the flames, which also extended into the kitchen of the house. The cause of the blaze was under investigation, Choi said.